How much to charge your customers is a critical decision for entrepreneurs. I.e. 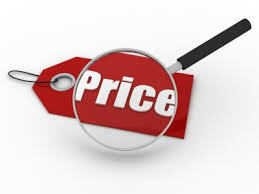 pricing is a critical component of your business strategy. While getting your pricing strategy right is no guarantee of success, getting is wrong is one sure shot route for failure. Obviously, how much consumers are willing to pay is dependent on the value they see in the solution you offer, be it a product or a service. Cost Plus mode: where the seller decides the price of the product based on the cost of the product. This is usually done for physical goods e.g. shoes, garments, computers, pens, etc. Doing this model for online services is not feasible because there is no real cost of the physical goods. How much premium you can charge over the cost is dependent on a number of factors including competition, alternate options, the overall value-proposition that the customers see in your offering, and often, also the personality & equity of the brand. Value based model: For products or services that do not have an individual unit price [e.g. Microsoft Office software], the seller decides the price based on what they believe is possible to be charged from the consumer. This is the toughest part and may require some experimentation and in-market tests to arrive at the price point that you could charge. Distribute the product free but customers pay for services: In some markets telecom companies follow this model where they give away the telephone instrument for free, and people pay for the usage. In some cases, e.g. printers, the base product is not given free but is offered at a very low price, often lower than the cost price, with the hope of recovering it through sale of related products and services e.g. cartridges and printer servicing. Freemium: Free for basic, paid for premium services. E.g. sugarsync.com, linkedin, gmail, etc. Subscription model i.e. users pay a per month/per year e.g. book libraries, dropbox and other online storage sites, SAAS platforms, etc. Tiered or volume pricing: Typically used to group buying benefits. E.g. an enterprise software where the license fee per user reduces as more licenses get bought. The pricing in this model is often defined in slabs as relevant to the category.